You know losing weight is a very hard thing. Heck, even maintaining weight is hard for me! I’m a sweets lover and could eat cookies, cake and ice cream for breakfast lunch and dinner. No joke. I’ve been known to wake up in the morning and eat the last of the cookies for breakfast. That’s why I’m always on the lookout for healthier options to curb my GIANT sweet tooth. I’m so tired of being ruled by what I put into my body. If I make unhealthy choices then my body isn’t happy and I get crazy tired for like the next 6 hours. Then I drag along half of the day until I get my second wind right before bed. It is a vicious cycle my friends. That is why I’m on the hunt for things that I can eat that will make me happy (because I have issues and sometimes food = happiness for me) and satisfy the sugar monster that hits about half way through my day. 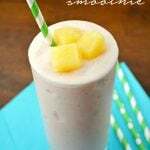 I decided to go mostly all natural for this Skinny Pineapple Banana Strawberry Smoothie. I say mostly because I did use a container of Strawberry Greek Yogurt which would be considered a processed food but other than that it was nothing but goodness in this smoothie. 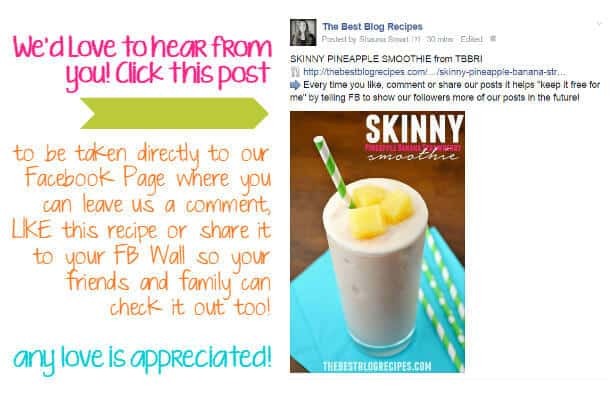 After searching and searching for the “right” recipe to try I decided on a Skinny Pineapple Smoothie recipe from our friend Tiffany over at Creme de la Crumb. 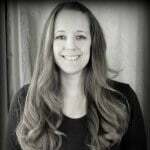 Her blog is seriously AWESOME with some amazing recipes! I also figured out that smoothies aren’t hard to make you guys. I don’t know why I haven’t really made them before. There is no added sugar in this smoothie other than the Greek Yogurt and so it is super healthy and amazingly delicious. It’s so good it kind of tastes sinful like you’re enjoying something that you’re not supposed to. Like it’s bad for you but OH NO. It’s SO good for you it’s not even funny. I don’t even really like eating fruit all that much but I could totally handle one of these a day. Yes, 1 per day. THAT GOOD! 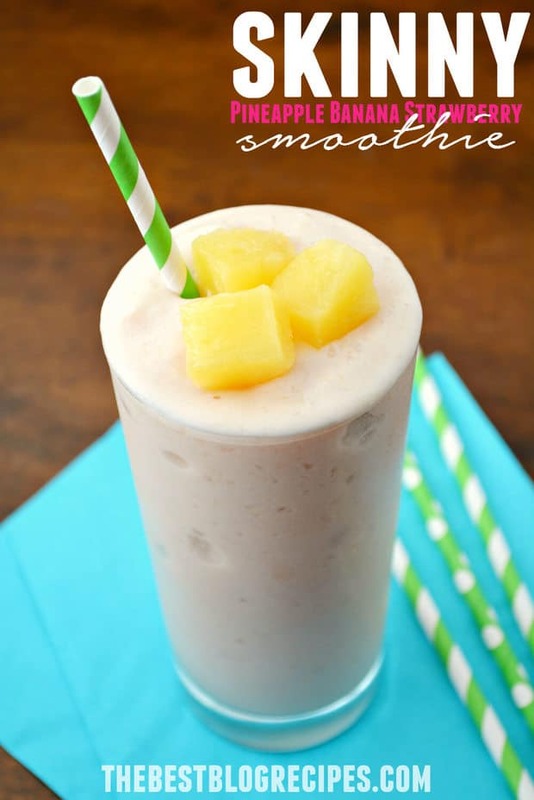 This Skinny Pineapple Banana Smoothie has no added sugar other than the Greek Yogurt and has such an amazing flavor that is so refreshing and delicious that you can enjoy without any guilt! Place all of your ingredients in your blender (we used a Ninja to blend ours) and blend on the "ice crusher" mode until everything is mixed together and you don't have any large ice chunks remaining. 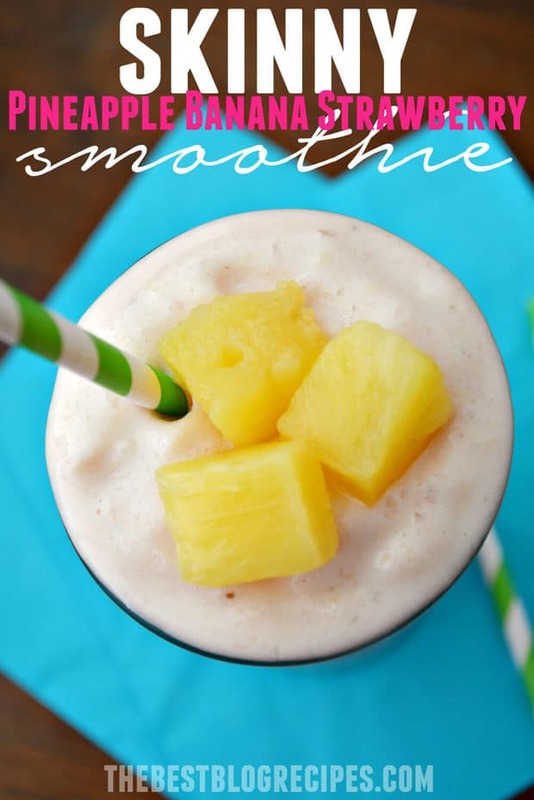 Serve in a cold glass with a straw or spoon and a few extra pineapple on the top for decoration! This is a great idea for a smoothie. Thank you Peter! It definitely is both of those things!